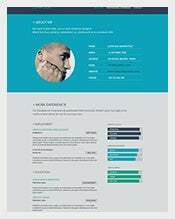 Resume Template – 781+ Free Samples, Examples & Format Download! If you’re aiming to get hired in your dream company working your dream job, well you’re going to have to make sure you have a dream resume to help get you through the finish-line ahead of the rest of the competition. A resume is more than just a document which tells your employer how qualified, experienced and skilled you. 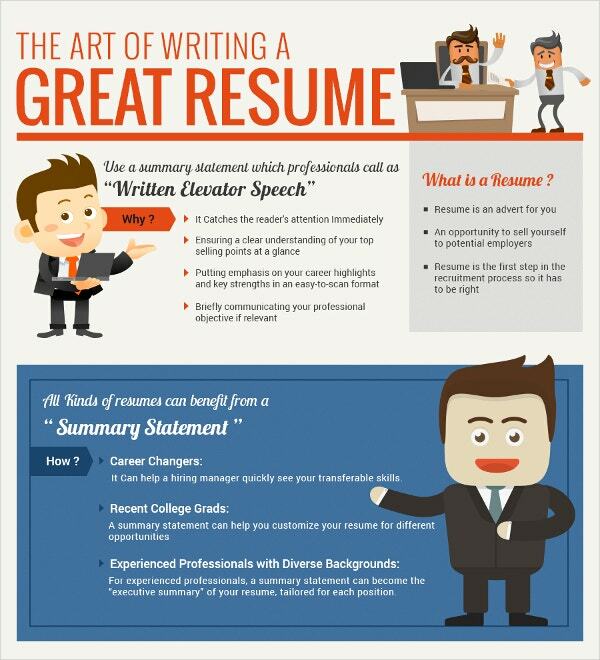 A resume is a summarized extension of one’s professional persona, and presentation makes all the difference! 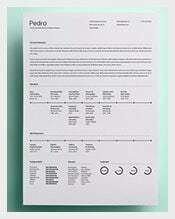 You can also see resume template. You may not be creatively equipped or trained to write an appealing cover letter. This is where extra set of guidelines come into play. Resume writing is a purposeful writing. Nobody writes resumes for bedtime reading (of course, badly written ones will obviously face that fate). 1. A resume is not a place to showcase your pedantry. Hence don’t pontify about yourself. 2. Don’t follow the sesquipedalian way of writing. Always try to maintain the simple and easily understandable language. Remember confusing jargon and abbreviations are not going to add any value to your CV. It gives an impression that you are just bloviating about yourself. 3. 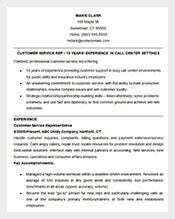 Lengthy resumes often resemble a Life Insurance person giving a 75-slide demo. No wonder they make any favor for the candidate, but putting the hiring manager to sleep. 4. Don’t forget that a well-crafted resume is a ticket for a better career opportunity. For that, the CV should be beautifully interwoven with quantifiable facts and figures. 5. Is your job becoming Sisyphean with every passing day? Then our templates greatly help you come out of the gutter and finds a place of your wish. 6.Whether you are a recent college grad or you are at the crossroads of life, our resumes come as life savers. The image is an attempt to educate you about the do’s and dont’s while penning a resume. 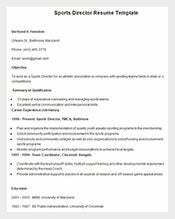 Constructing your resume for grabbing immediate attention from prospective employers by highlighting your strengths as a potential candidate is difficult. The solution to this is easily achievable by using our resume bundle, designed to make organized and structured resumes catering to different genres of job positions in various industries. This bundle is specifically introduced for channeling the experience and artistic ability of yours through the resume to the prospective job recruiters. 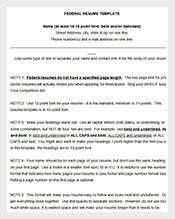 These templates with customizable font offers varied colorful options. With investment of $25 which is such a meagre amount, your resume is ready to be email/send to the recruiters. Are you eyeing for a job in the best IT companies as a developer? 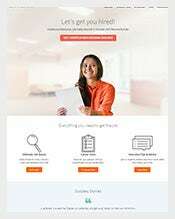 Then probably you have come to the right place, as you can create the best professional resume by choosing from our eight templates catering to job applications for HTML, WordPress, .Net, Java, App, PHP, Web and Software developers. 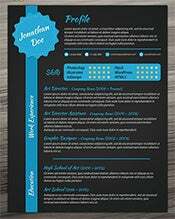 If you’re hoping to score big due to your skills and expertise in the creative industry, you’re going to need a resume template which is endowed with all the elements which help a creative’s resume shine and make an instant impression on the recruiter/manager/employer. Lucky for you, our website has a pile of creative resume samples! 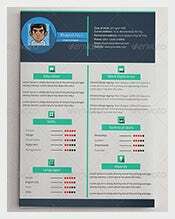 If you have your sights set on designing a resume which has a one or more infographics displaying your caliber and merit as a candidate for the job you’ve applied for, then this mockup is what you should download and use right away! It’s professionally designed and good-looking too! This worthy bundle consists of customizable and editable resume templates in PSD formats having high resolution with various fonts. 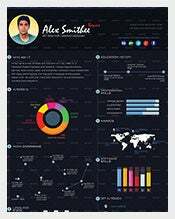 This eye appealing resume is preferred by most of the upcoming professionals to attract employers. It is offered absolutely free to give a start to your career at the earliest. When you work on a CV template to make one of your own, make sure you create a resume which is just another amalgamation of details, rather aim for a stylish resume which is professional and creative. Your resume must be an expression – it should immediately capture the attention of employer/recruiter! Creativity is an immense boost to your resume and helps you be noticed over other applicants for your dream jobs. Play around and experiment with all kinds of theme based creative resume templates available in layered PSD and AI formats. If you’re hoping to get into the corporate sector, this particular business resume template has got all the goodies to make sure it happens for you. If you’re in a time-crunch situation, use this template to develop a business resume of yourself in a jiffy! Free, downloadable, customizable and print ready! It’s a difficult and slightly tedious task scrolling through a big stack of resume samples, searching for the ‘one’ which suits your caliber the best. Well, you can quit searching now and opt for MS Word resume templates. The collection of resumes is vast, however they are well-categorized so it won’t take you much longer to find the resume which is your perfect match! 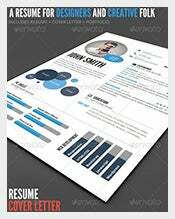 It may be too much for a candidate to handle when it comes to designing the perfect resume. That’s when you have to say: thank God for resume samples! Well, if you’re a MAC user and a fresher just out of college, you can run eyes through our pile of fresher-oriented, MAC-friendly downloadable resumes. You can customize them easily and they are printable too! 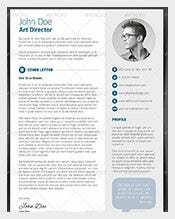 If you wish to move to the next level of impact with your resume, try out HTML Acting Resume Templates with all their unique design elements. 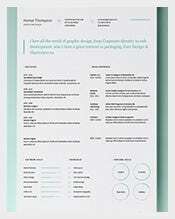 Right from animated GIFs to background images that transition into other patterns, from colourful presentations of your awards and accolades to hyperlinks that connect the evaluator to your testimonials, references and online projects, these free templates truly redefine the way you pitch for your next job. 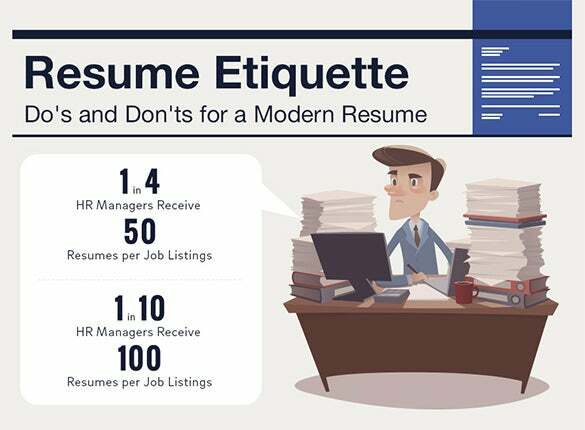 One of the biggest don’ts in the world of resumes right now is ‘bland and boring resumes.’ No recruiter or employer is going to even bat an eyelid to a resume which looks plain and ordinary. 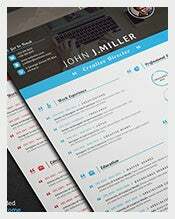 Whether or not you have got the experience for the job you’re applying for, even if you just have the personality and skills for it, make sure yo flaunt them on a creatively-designed resume template. 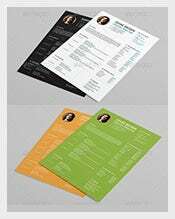 If you reckon flatly designed resume templates would work best for you, well, then scroll through our compilation of modern flatly designed resumes – they may look deceptively simple, but they are the real deal. Use borderless designs, classy bulleted text lines, subtly shaded sub headings, catchy headers and footers etc. 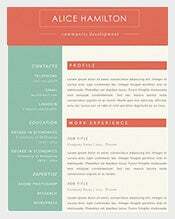 to build the perfect flat design resume. 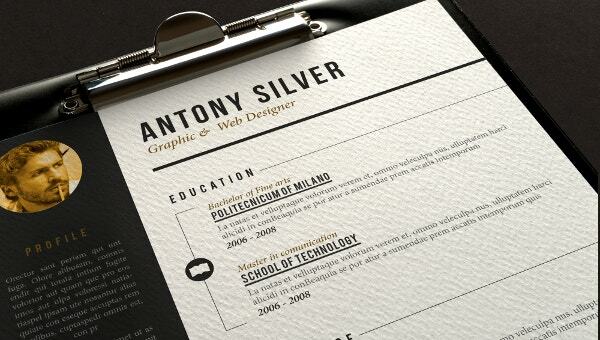 A well-conceptualized and crafted resume always gets noticed. Be it for a creative job position or a corporate profile, your resume must communicate about you to employers when they sit down to judge your candidature by your resume. Our pile of crafty resume samples should help you get noticed. 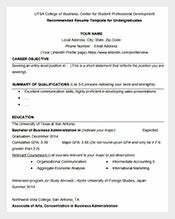 Resume Template examples is a term which is used to refer to a document which serves as an example for all of those people who wish to frame resumes for themselves. 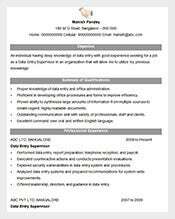 Resume examples present the users with the correct format and the right content information which every resume must have. Some people have hard time writing a resume all by themselves. While experienced workers have trouble deciding which skills and accomplishments to list, inexperienced workers can barely manage to fill one page of their resume. 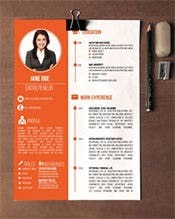 Resume builder template help users by guiding them in summarizing and organizing their talents to create a balanced and intriguing resume which is bound to stand out. It is rather tough to grasp a reader’s attention; reports suggest that managers don’t like to spend more than 6 seconds on resumes. When your resume is scanned, you wish to be listed in the pile that is cleared for the subsequent rounds of interview, not the shredder! This is only possible with effective presentation and engaging content. Don’t make your professional story look boring. More the melodrama, closer is the proximity to getting rejected. Most of us have this unshakable habit of writing paras of running text while summarizing experiences. You will have plenty to talk about yourself on a piece of paper. Make sure you streamline your thoughts first. Split your content into smaller chunks rather than continuous text. Think hard and create smart taglines for headings such as educational qualification, professional experience, project work, accomplishment, responsibilities handled and interests. 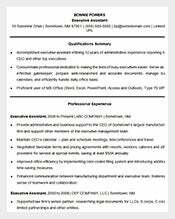 Hence, a powerful resume is the sum total of several powerful sections. For more insight and guidance on writing a resume, also see what not to include in a Resume. Once you have the content ready, it’s time to choose between formats. You can easily mix and match elements from both chronological and Functional & format. 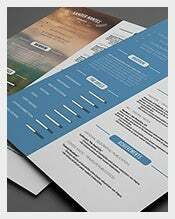 With great content and appealing format in your hold, it is now time to begin your hunt for an impressive and suitable Best Resume Template. Today’s world is all about presentation and visual appeal. Take the case of food, for example. A presentation of your favourite dish in a 5-star restaurant would be significantly different from that of a roadside eatery. Similarly, a‘5-star’ resume draws the attention and appreciation of an evaluator faster because of neatness, coherence and the visual appeal. The employers and head hunters will have thousands of resumes to scan on their table. Your resume has to stand out for a reason, isn’t it? 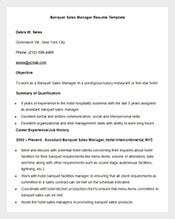 Free Resume Templates 2015 – The Long and Short of it! 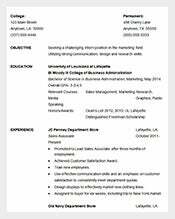 You would have constantly wondered – how will using a Resume Template Word help at all? 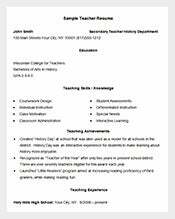 Using a resume template saves you a lot of time. 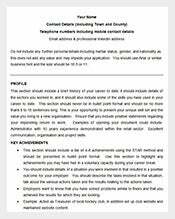 In fact, you will be able to come up with a decent looking and well-structured document. A lot depends on the quality of the template that you choose. What’s the best practice then? It’s first important to identify a great resume template. You have to then build upon it to create a document that reflects your personality and worth of your professional experience. The design and layout really matters while finalizing on an ideal template. 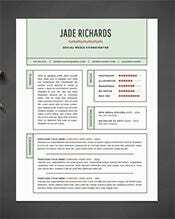 Miseries of a Resume Template Hunter, and HOW Template.net helps! Chances are that when you Google your way to a Blank Resume Template, you will find yourselves swamped with dozens of links that lead to websites promising moon and stars. Ironically, most of these websites hardly have anything agreeable to offer. You might just be lucky enough to hit upon a couple of pages having few good examples to showcase, but nothing substantial. 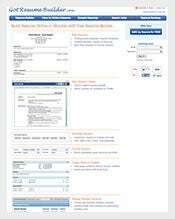 Look up the 771+ Classy Resume Templates that template.net offers you right on this page. 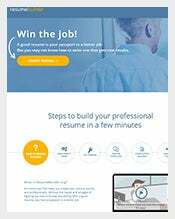 Most of these free resume templates are flexible enough to be double up as functional resume template and chronological resume template; of course, you have all the flexibility to tweak them to your liking. 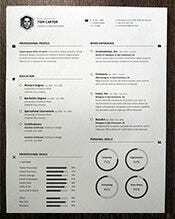 Hunt for a Professional Resume Template that’s appropriate for your industry; trust classic and sombre templates for old established industries such as manufacturing, and dare to experiment with cheekier templates for start-ups. Spend some thoughts on identifying the most relevant skills that an interviewer or evaluator will like to see in you. Then pick a template that conveys similar attributes about you. Trust your gut and look for a template that you think does justice to your personality and a best blend of everything that a resume needs to be. 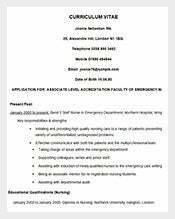 A resume is an important document which is used at the time of application for an educational course or a job. A resume consists of all that information which may help an employer decide whether or not he/she should hire or appoint the applicant. 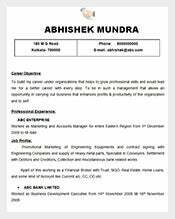 A resume format on the other hand is a document using which one can understand the format needed in a resume.